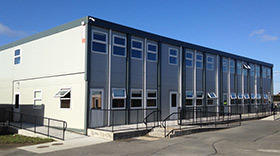 Here at Instaspace, we design, manufacture and deliver quality Modular Building Solutions to Ireland’s Educational, Commercial, Medical, Pharmaceutical, Administration and Recreational Sectors. All of our Modular and Portable Prefabricated Structures are available for purchase or rental, at highly competitive rates. 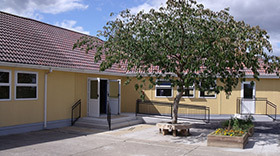 Instaspace provide modern educational facilities, constructed from quality materials and in line with current building regulations. 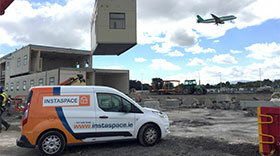 Instaspace has a proven track record in the provision of Commercial and Administration Prefabricated, Building Systems. Instaspace can provide a wide range of solutions to meet your Pharma and Medical extra space needs. 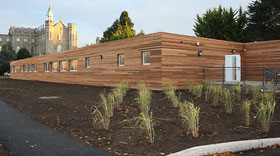 Here at Instaspace, we provide Modular, Pre-fab Building Systems to suit all purposes and needs. For almost 30 years we have built our business by providing our clients with the highest level of service in the industry. We invite you to browse our website and contact us with any questions. We can take your building from planning and design stage through to commissioning and hand-over in the least possible time and with the least possible disruption. Because our Modular Pre-fab Building Systems are manufactured here at our own, purpose built facility in Duleek, Co. Meath, we can pass on substantial savings to you. With over thirty years of experience, we are in a position to provide additional accommodation solutions that meet your unique specifications and requirements. If you need additional accommodation in your school, college, hospital, healthcare facility, office, canteen, laboratory, crèche/playschool or sports’ centre, contact us to-day for an obligation free quote Tel: 041 988 2656.